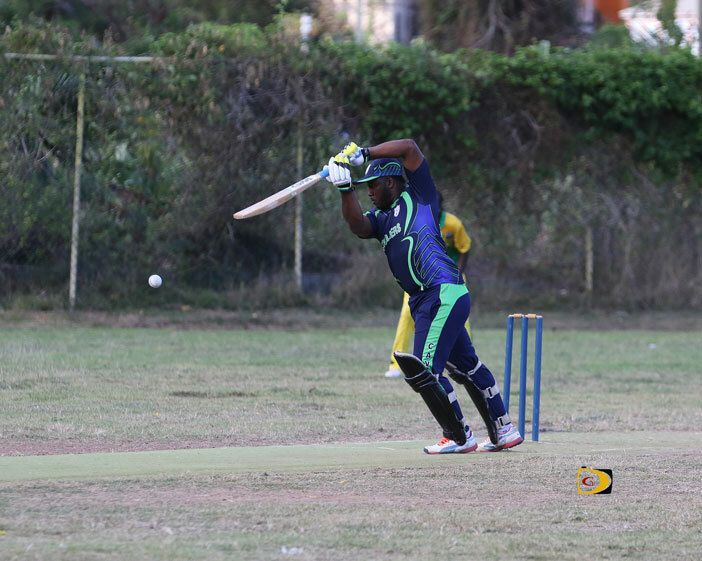 A resurgent Cavaliers squad dealt Grenada a four wickets loss—their second of the season— during the BVI Cricket Association Twenty 20 Premier League Division action on Sunday in Greenland. Grenada, looking nothing like the team that ran through last year’s league unbeaten before falling in the final to Vincy, struggled throughout the match and at one time were 96 for 6, were bowled out for 152 in their 20 overs, after being sent to bat. After Gary Prince went for two, Brian Daley shared in three crucial partnerships. First, 25 with Dave Johnson for the second wicket, 19 with wicket keeper Raymond Charles for the third and 22 with Redhead who was controversially run out for the fourth. Daley was eventually bowled by Dhanpaul Chrisnanand for 34. Irvin Lewis contributed a supporting 23. Man of the Match Roylston Duggin snatched 3 for 31. Cavaliers, in their reply after losing their first two wickets for 33 runs, got a 64 run partnership between Kwesi Sinclair and Drumor Toney for the third wicket, that was used as the foundation to reach their 157 for 6 and their second victory. Sinclair finished with 27 and Toney, 34. Grenada will face Royal Knights on Sunday morning and Vincy to close out division play. A loss to either could put them on the demotion pathway to Division I. In Division I, Under The Three used 46 from Rudolph Davis and 26 from Tim Samuel to reach 108 for 5, during a five wickets victory over BVI Academy, who were 106 for 4 in the 20 overs. BVI Academy’s Trent Olive bagged 3 for 35 in 2.5 overs. Jerome Perrera, 26 not out. Kymal Panchoo, 22 and Marcus Butler’s 23, were BVI Academy’s top batsmen.